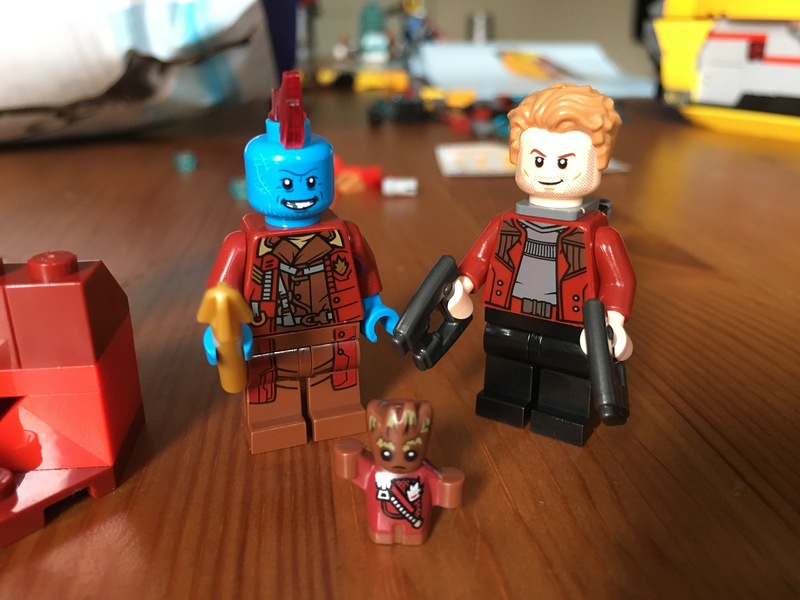 Today we’ll be reviewing the next model in the new Lego “Guardians of the Galaxy: Vol 2” range, “Ayesha’s Revenge”. As with the first set (“Ravager Attack”) it’s a model inspired by the upcoming sequel – and like the other model, features a couple of elements that will probably make a lot more sense once we’ve seen the film. So, setting aside the question of “Who is Ayesha and why is she taking revenge?”, we set about building the model. Unlike the previous model, this one has a marginally higher “Recommended Age” rating (see box below for all the details) so Robert (8) volunteered for this one. 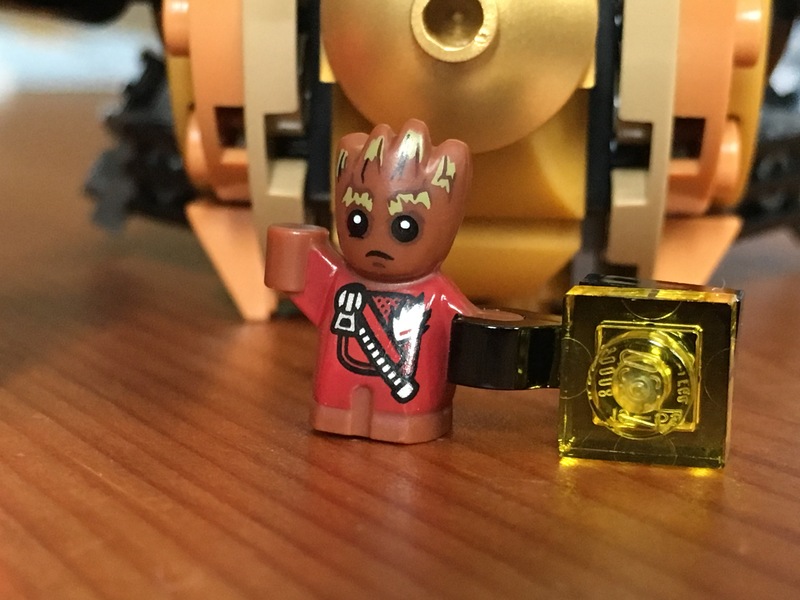 As you can see from the close-up above, this is the first Lego appearance of the already much-loved “Baby Groot” – and he’s just as cute as you imagined. That figure alone is making me really excited to see the movie! 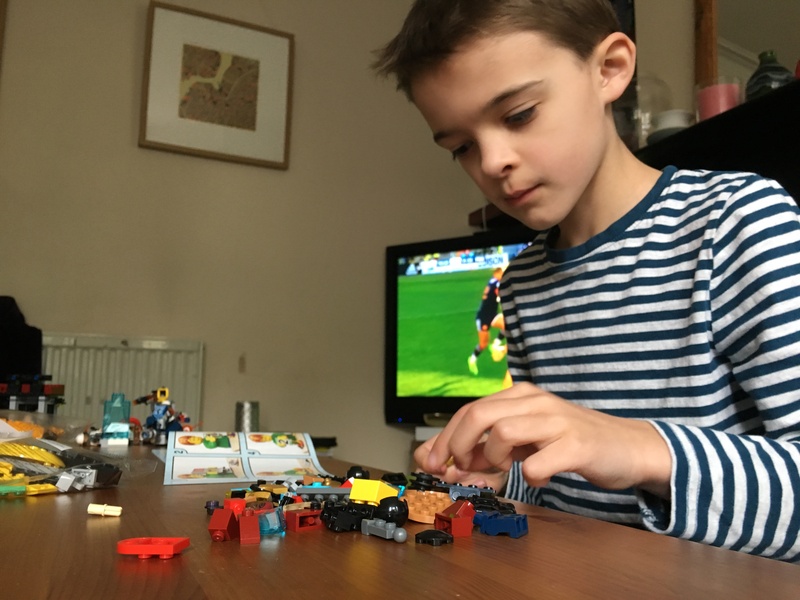 Robert found this fairly straight-forward to build – unlike his brother with model 1, Robert is a little more experienced when it comes to Lego… actually, who am I kidding? 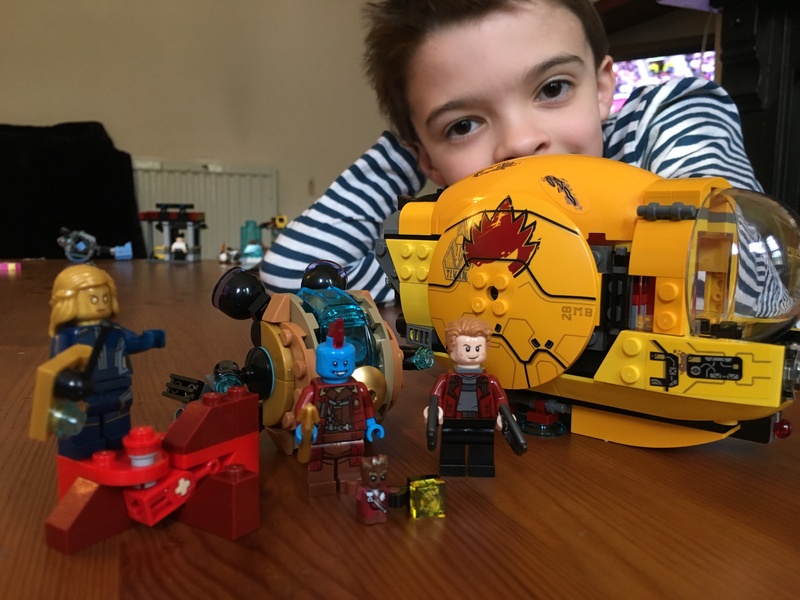 Robert is already a Master Builder, having single-handedly built a number of the “16+” creator models. Needless to say he did fine with this one. It took him about half an hour to build, with (sadly) little help required from me. 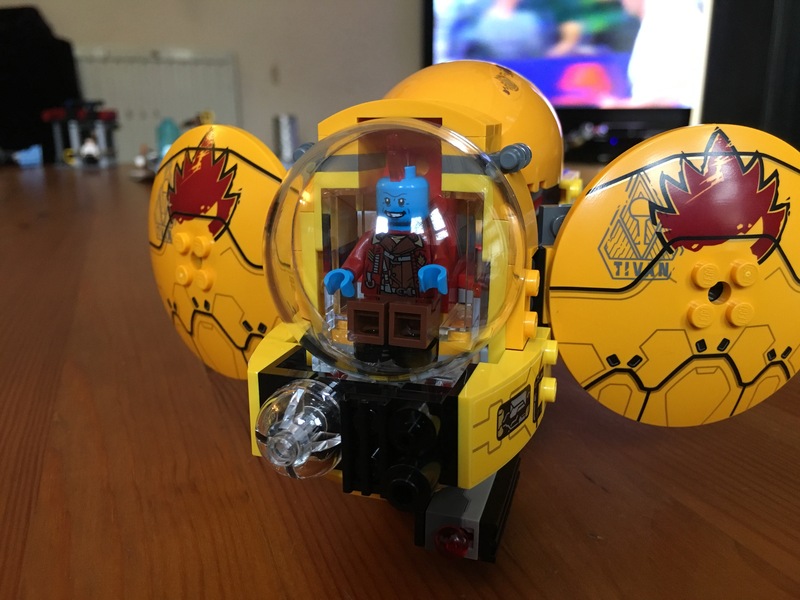 The model itself features some really nice little touches, including a hidden compartment and a slide-open mechanism which makes it really easy to get the minifigure inside. I’m realiably informed the other model is a “Golden Drone”, but like Ayesha that’ll probably make a lot more sense once the film is out. Overall it’s a lovely little model, with some really nice detail. 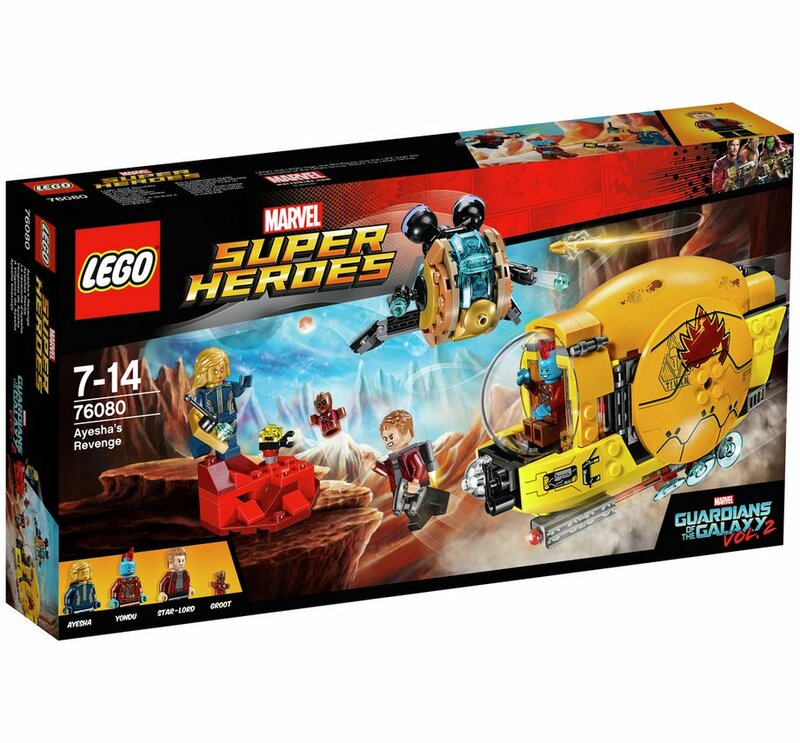 It’ll definitely sit proudly on our Marvel Superhero Lego shelf.